I was born November 12, 1927. 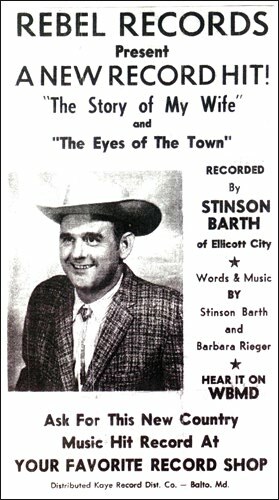 I began to like country music back in 1936 when I heard a good Canadian artist on the coast to coast hook-up out of New Year. His name was Montana Slim (Wilf Carter). I lived on a little farm in Maryland. We did not have a radio but used to listen to Montana Slim on my neighbours radio. I thought he was the greatest. 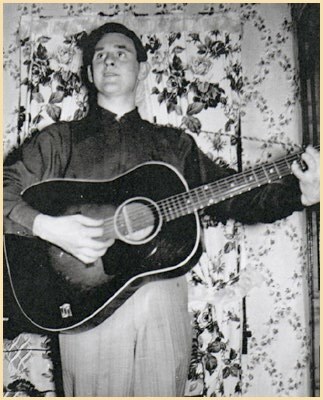 I began playing around on the guitar when the war came around. I was working at a cab stand at the time. A fellow from Tennessee by the name of Reuben Gibson sold me a guitar for $9.00. I learned to play from Reuben. He was from the same town as Jimmy Martin of the Bluegrass fame. I played anywhere I could get anyone to listen to me including back alley brawls or outside bars as I was too young to get inside. I had five brothers enlist in the army during the war. I became the sixth and wound up in Battle Creek, Michigan. I worked quite a few shows around Baltimore and in 1949 I worked with Minnie Pearl and Tex Ritter when they came up here. They held a talent show in their own theatre. It went for 7 days. First I sang one of Hank Snows songs. For the last show Minnie Pearl told me to just sing, don't play the guitar - just sing. You can hold the guitar but don't play it. Sing the song you were singing a while ago - 'The Shenendoah Waltz'. I did what she told me to do and she was right. I got a nice standing ovation. Minnie Pearl was a wonderful lady and I admired and respected her. I also worked different places around Baltimore with Ray Davis. He was a great well known disc jockey here. 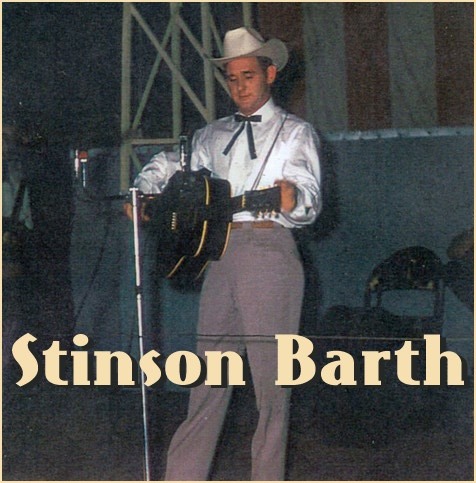 He booked a lot of tours from Nashville and I did get to perform on these shows with the likes of the Louvin Brothers, Jimmy Dean and Jimmy Martin. I was also on the Don Owens show with Roy Clark and Earl Taylor back in the 60's. I was managing Earl Taylor at the time and got him on these shows quite often. The Second single was 'I'll Forget You Woman' b/w 'That Woman Barbara' (Rebel 235). I performed with so many great artists over the years. I had alot of fun. Played shows with Jim Reeves, George Jones, Ernest Tubb and Jack Cook. I am happy people still like my music. Thank you.